Arrive in the summer between late March & mid-May & return to Southern Africa in September & October. Flying Insects (Except Bees & Wasps). 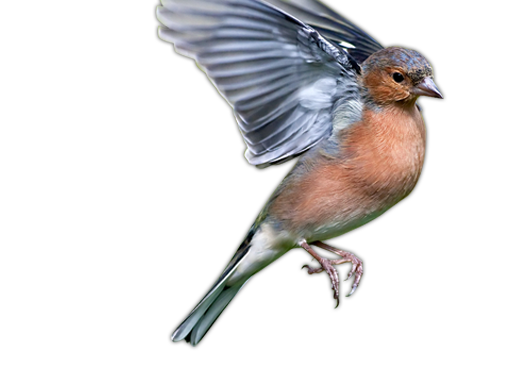 Known for their longer outer tail feathers, streamlined body & short but wide bills. 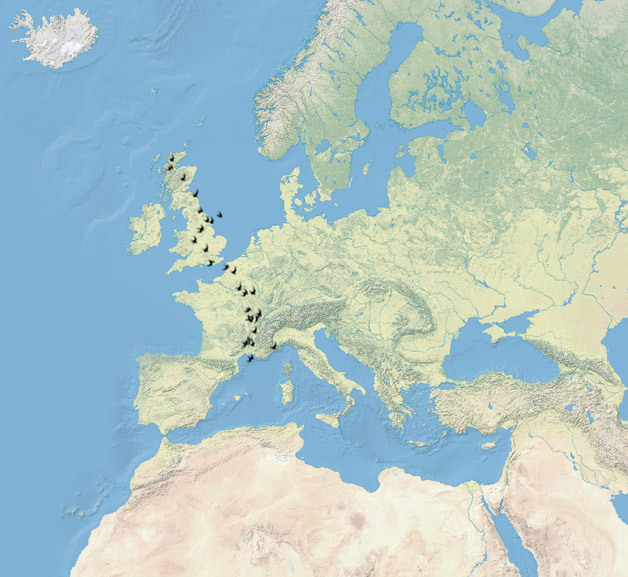 Resident birds with migration occurring between September & March from Western Europe & Scandinavia. 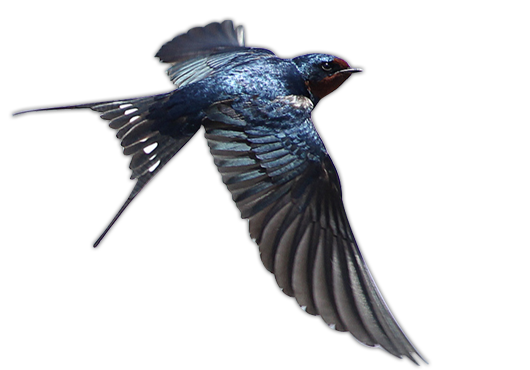 Both female & male have distinctive white markings on their wings & tail. Males tend to be more colourful with grey & reddish feathers, while the females have a duller brown / greenish plume. A visitor between April & May to Southern & Eastern England, returning to Africa in July. 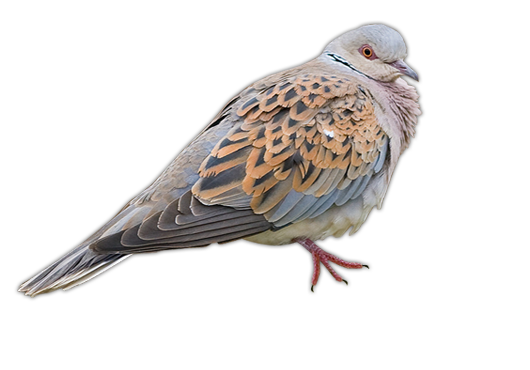 Smaller than other doves & brown in colour. 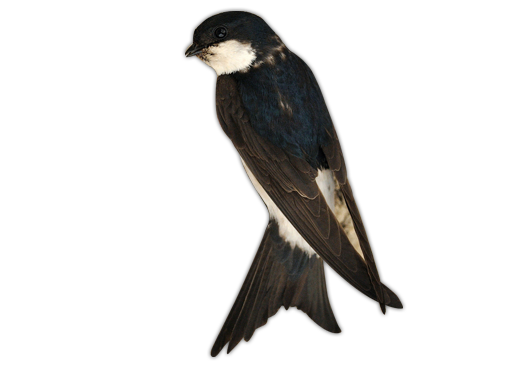 Wedge shaped tail which is often dark with white tips. Visiting in the summer from Africa, they typically stay from mid-April - October returning to their resident continent for the winter months. Small bird with bluish black feathers, white underbelly & black chin. Most common features include their feathered feet & forked tail. During winter, adults migrate from Scotland & Northern England down South, as far as Europe. European birds arrive in the autumn to the East coast. Mixed Seed, Peanuts, Sunflower Seeds & Hearts, Berries. 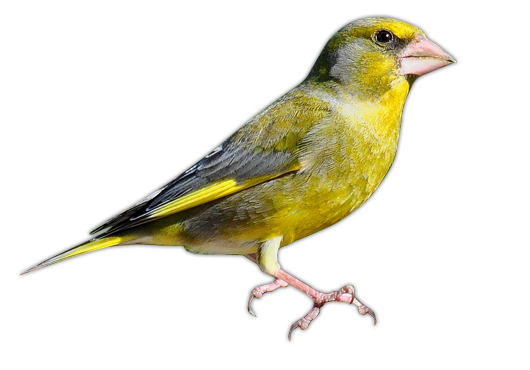 Males tend to be more bright green with yellow in the wings & tails, while the females have a duller grey & brown colour. Mainly residential however some adult Robins migrate in winter to Spain & Portugal. Sultanas, Oats, Suet Products, Mealworms & Seed Mixes. 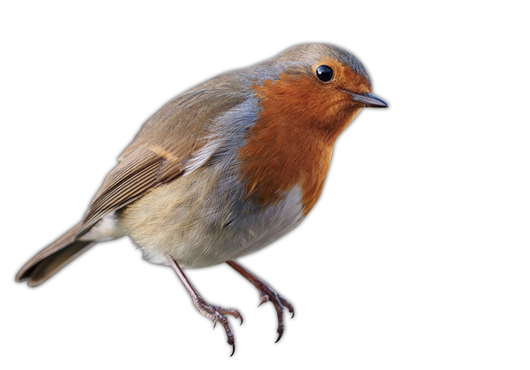 The most widely recognised bird internationally, the bright red breast of the Robin is unmistakeable as both male & female birds have this feature. The small beak & plump body of this bird make it the nation's favourite. Sporadic migration pattern unlike some other birds. Migrate to France & Spain as well as other South-Western European countries. Sunflower Seeds & Hearts, Niger Seeds, Thistles & Dandelions. Very colourful bird with a red face, black, white & yellow wings. 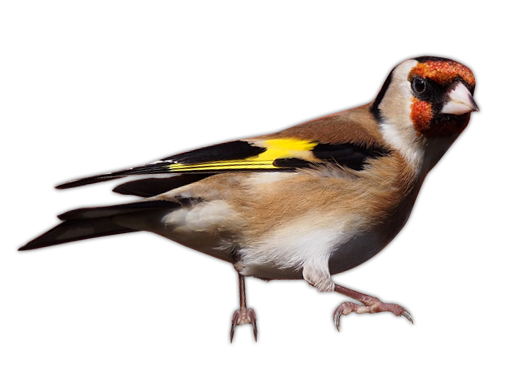 Their long, narrow beak helps them to gather food, especially from thistles & birdfeeders.